Asking Nicely is a thoroughly entertaining and insightful piece by Hannah Chutzpah that dissects the ways we ask for and are given permission with near-surgical accuracy. She skilfully breaks down the power and privilege that condition our language and behaviour, crafting a convincing argument from anecdote, poetry, quotations and studies that provides plenty of fun along the way. What’s best about the show is the way that Chutzpah‘s language dances around and beneath the show’s complex ideas as she explores the permissions we ask and take with a deft and playful touch. The show was bookended as a kind of psychological study, rattling through some funny opening patter comparing British Psychology Society best practice to the upcoming show, the piece coming across as somewhere between a presentation, a lecture and a story. The blend, overall, works pretty well as its full of fascinating details, visual aids, theories and background information that really inform Hannah‘s poetry. The poetry comes just frequently enough to stop the more lecture-like material from becoming dry, while the personal anecdotes add a nice intimate feeling with the audience. The ideas of the show are pretty complex, as Chutzpah explores the different facets of ‘asking permission’ and how different aspects of it are present throughout our lives in many different ways. She does a good job of simplifying each idea down to basic principles (using handy and charming visual aids), before expanding slightly and then delving further through poetry. There’s a lot to get through and this means each idea doesn’t necessarily get the time devoted to it that it needs or that the audience might want, but the poems do a nice job of cutting to the heart of these, presenting tangled, complex, emotionally weighted pieces without trying to oversimplify. The frequent quotations serve as helpful points of reference and emotional markers for the show, each typifying a viewpoint or argument that often come into conflict, as Eleanor Roosevelt’s “No-one can make you feel inferior without your consent” is countered with Ani DiFranco’s “Every tool’s a weapon if you hold if right”, creating a loose sense of drama between ideas rather than characters. The theatre of this isn’t immediate, but it works. 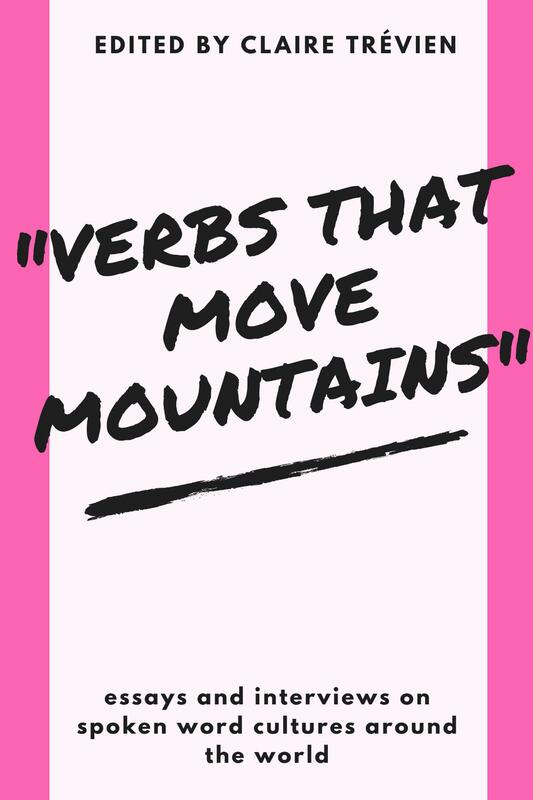 The poems almost all exhibit a trademark style, always engaging, well-structured pieces with an easy, conversational rhythm, which works very nicely to keep the audience involved, using repetition and extended anecdotal metaphors as the main devices. Her wonderful call to arms ‘Permission’, the razor-sharp video game metaphor of ‘Easy Mode’ and her declaration of arch-defiance ‘Raise You’ are especially excellent. And just when this style’s starting to get a bit samey, Chutzpah changes things up with some incredibly tense or charmingly offbeat pieces like the taut, fractured ‘I Call You Captain’ and the eminently enjoyable ‘Breathe’. It’s by no means a perfect show; it occasionally drags, and the over-arching narrative, while a fascinating look at how upbringing, class and gender affect levels of entitlement, can be sometimes a touch dry. And you may not always agree with the points she makes. But they are fascinating ideas, expressed eloquently, amusingly and with supreme lyricism (or at least moments of it). 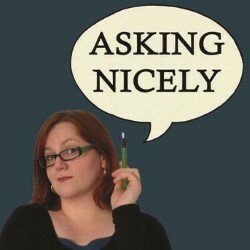 Asking Nicely is on at the Stafford Centre (venue 175) at 6.15pm until 24th August. It is free and unticketed.